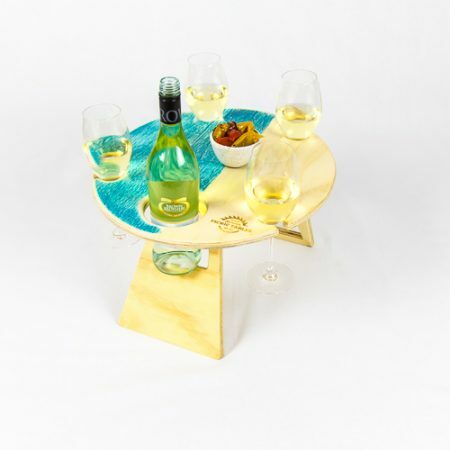 This portable table is designed to please our customer who don’t drink from a stemmed wine glass. 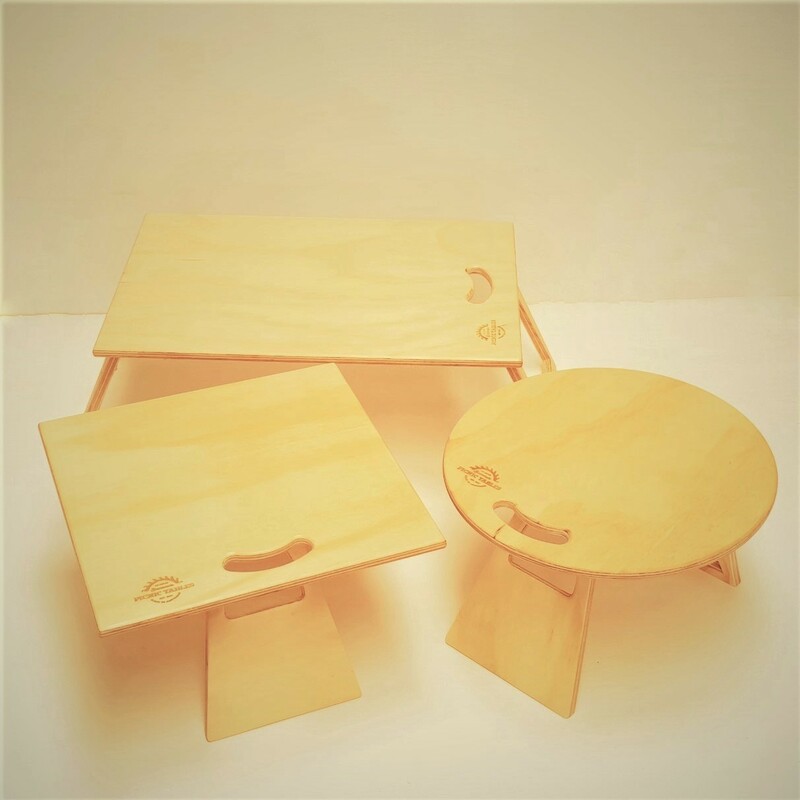 These fabulous little tables have no wine glass cutouts to allow more room on the table for your food, glasses and beer bottles or cans. 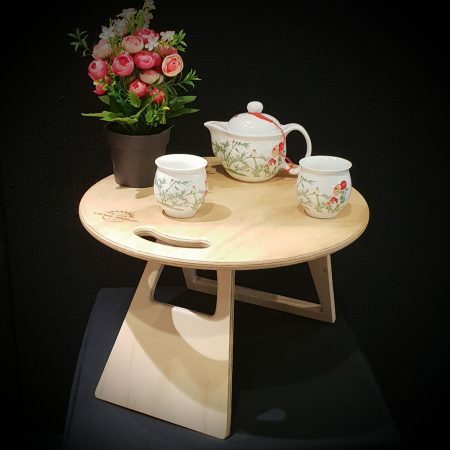 Each folding portable table has a handle cutout to allow ease to carry and has enough room for a plate of food, safe and off the ground. 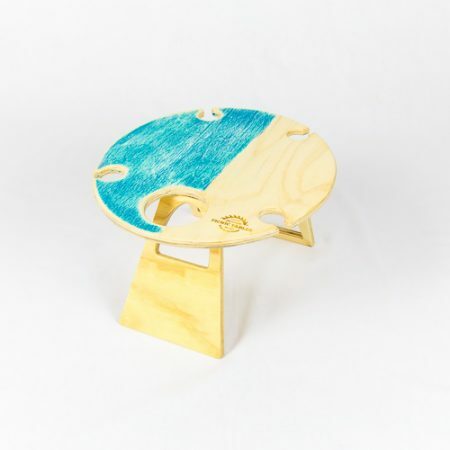 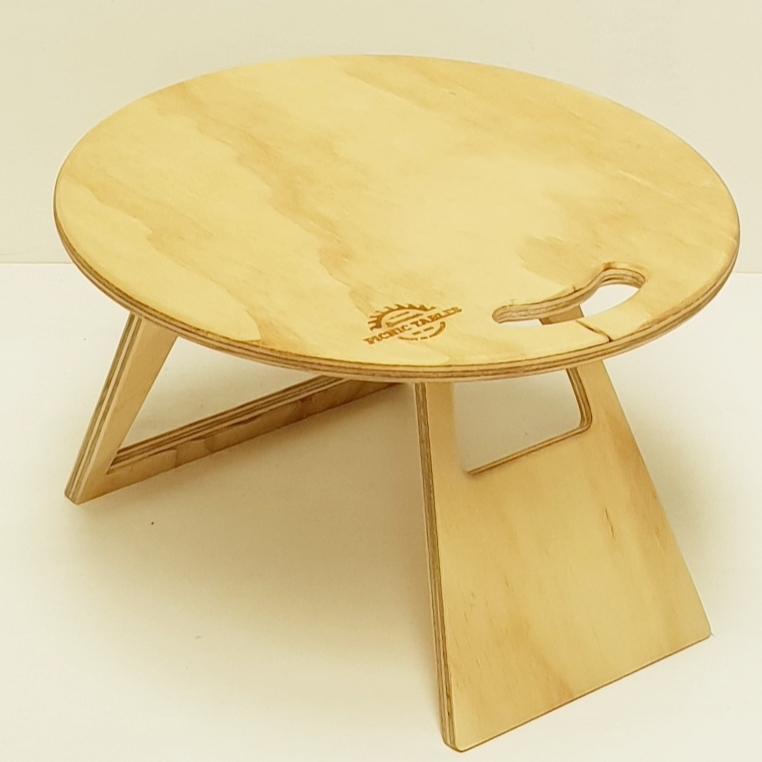 Beautiful round Portable Table in natural timber to allow you to bring your own colour to the table. 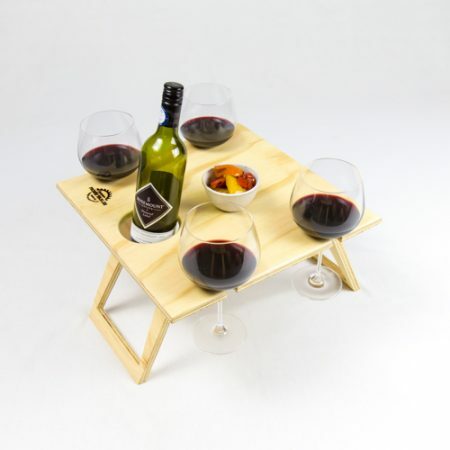 Have you ever settled down to enjoy a picnic and had sand kicked in your food, or your wine glass spilled on the ground? We designed the original portable picnic table range back in 2015 to save your sanity, and protect your precious refreshments. 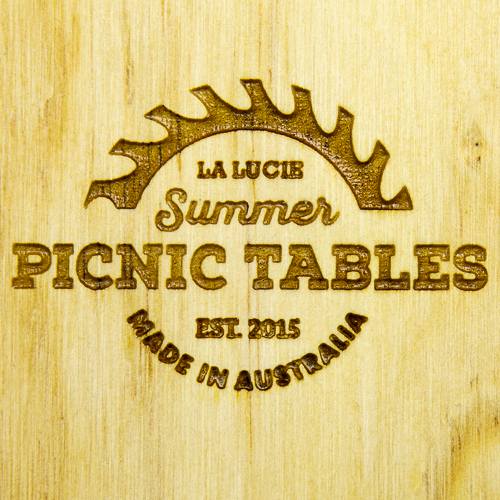 We have been refining and building our range ever since and have delighted thousands of people with our cool, stylish picnic table range. 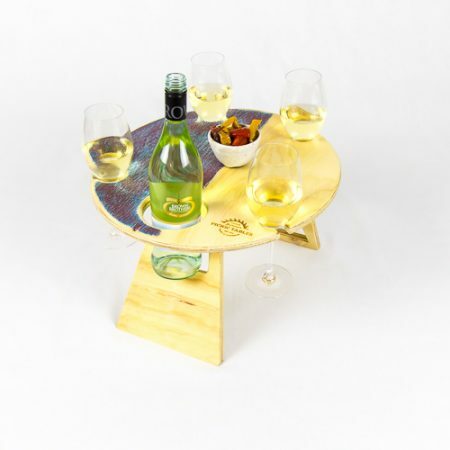 Our Ohana range has been designed to please our customer who don’t drink from a stemmed wine glass. These fabulous little tables have no wine glass cutouts to allow more room on the table for your food, glasses and beer bottles. 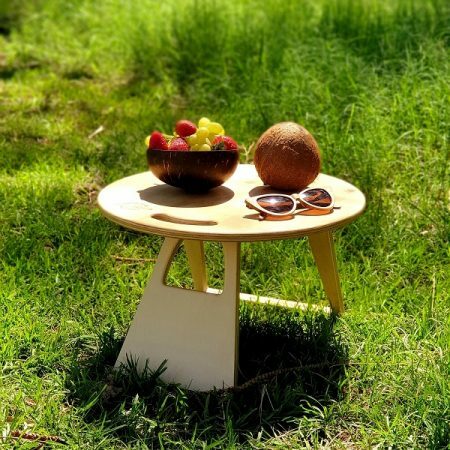 Each folding portable table has enough room for a plate of food, safe and off the ground. 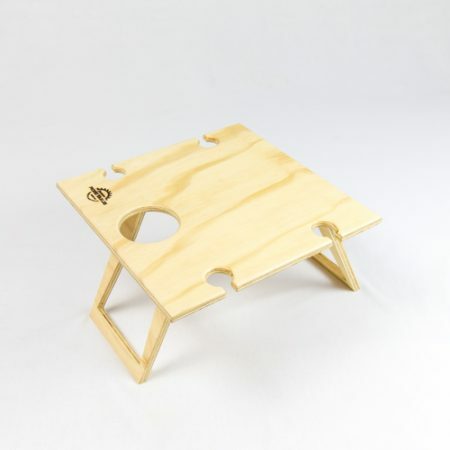 The legs neatly fold under so when you’re finished using it, simply wipe it down, just close the legs down and pop it away away. 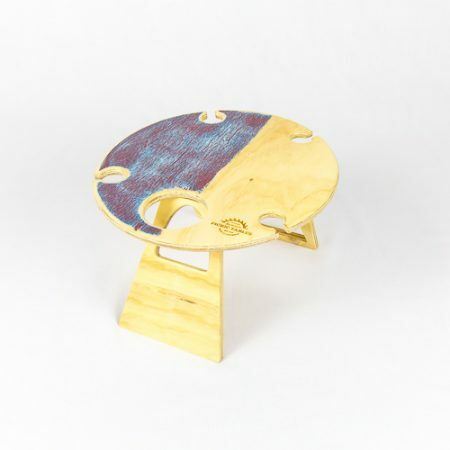 Ohana definition: Family in the Hawaiian language, but in a much wider sense, to include not only one’s closer relatives, but also one’s cousins, in-laws, friends, race, and other neighbors. What better word to use to describe this fabulous portable table.